Tonight’s pour comes to us from Château Morrisette, located in Floyd County, Virginia off the scenic Blue Ridge Parkway. During our trip to Virginia, I sampled the Château Morrisette Black Dog alongside a nice cheese platter, after our marathon flight. My Southwest flight was delayed in Orlando, and unfortunately, I sat on the tarmac for 2 hours. Needless to say, I was more than ready for a glass of wine. A semi-dry red blend of Cabernet Sauvignon, Merlot, and Chambourcin, the nonvintage wine retails for $9.99. Overall, an easy drinking, medium bodied wine, with good fruit and spice. 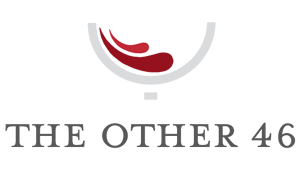 A surprisingly good quality to price ratio wine that is widely available. 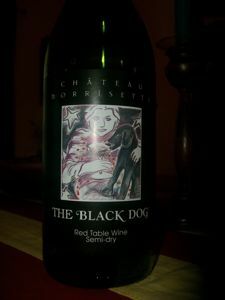 I bought a few bottles of Black Dog red table wine at the Virginia wine festival. How can I order a case? I’d recommend purchasing from their online store located at http://www.chateaumorrisette.com/. Depending on your location, they may be able to ship straight to your door:-) Cheers and thank you for your readership! i live in lynchburg va and can not find the blk dog red table wine anywhere close by why??? ?